Nikos Lynch is an honest, dependable and wonderful businessman and truly cares about his clients needs. I would recommend Terra Bella for all your landscaping needs, large or small. People continually stop by and admire our yard! Everyone comments on the transformation and I couldn't be happier. 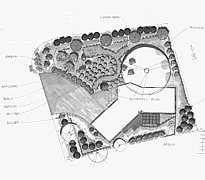 One of the best and most ethical landscape contractors I have worked with. You are in good hands with Nikos from Terra Bella. Nikos's crew is top-notch and a pleasure to have around. Terra Bella is a company that offers great customer service, detailed knowledge, a strong work ethic, sheer artistry, and something truly rare-soul. I give Terra Bella my highest recommendation. 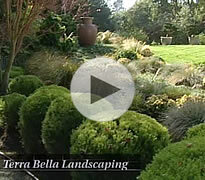 Take a garden tour with Nikos Lynch of Terra Bella Landscaping.